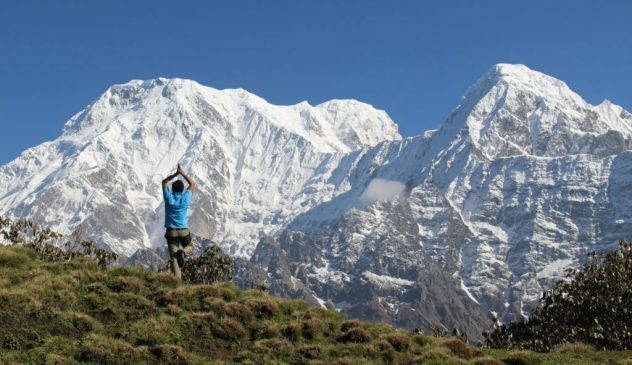 Tilicho Meskanto Trekking trail is the recently build trekking route in Annapurna region. With the massive pass of Mesokanto in Annapurna region after crossing world’s highest Lake Tilicho ascending from Manang side and to climb up Eastern pass in the same route. During the pass, we can see spectacular views of Dhaulagiri range including 8000m Dhaulagiri white peak as well as Nilgiri peak, Tilicho peak, Tilicho Lake, Gangapurna peak, ice Annapurna region as client’s interest and demand. So we can also frequently organize Kangla Pass – Tilicho Mesokanto pass trekking. In this route, we can see the less tourist than other routes. 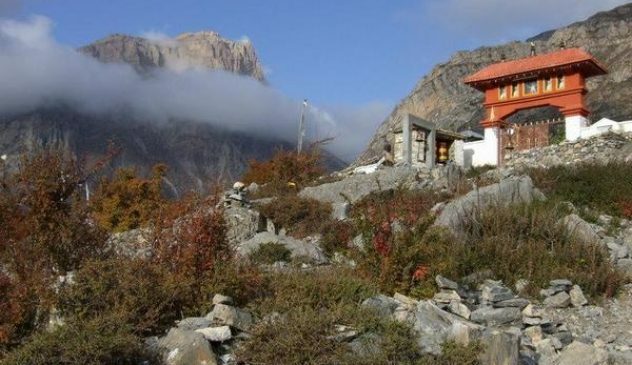 Trekkers can discover non-touristic, preserved and hidden Narphu Valley by crossing the Kangla pass; continue for the Tilicho Mesokanto pass from Manang. Day 08: Acclimatization in Manang & sight seeing in the local village. Day 01: Local bus 8 hours / private car/van 5 hours drive to Besisahar (760m.) is district headquarter. Visit around Besisahar, see a local shopping center. All the people from the countryside come there shopping what people need and back home. Day 02: Trek to Bahundada (1310m.) it takes 5-6 hours to walk all the way from Khude, Bulbule, Nade and after steep up to Bahundada. Hotel is on the top where you can see the view in the long distance. Day 03: Trek to Chamje (1420m.) it takes 6 hours walk. Trail after Bahundada steeps down until Badalbisaune (name of the small village), Ghermu, Syange, Jagat finally you are in Chamje. Day 04: Trek to Dharapani (1860m.) it takes 5-6 hours walk. Today you change district after all where you stop for eat or drink. The trail to Dharapani via Sattle, Tal, Karte (Khotro) and you arrive in Dharapani. Day 05: Trek to Chame (2670m.) it takes 6 hours walk. The trail from Bagarchhap, Danakyo, Thanchok, Koto (ACAP permit checkpoint) and you arrive in Chame is also district headquarter of Chame. Day 06: Trek to Lower Pisang (3200m.) it takes 6 hours walk. Cross the Marsyangdi river bridge follow left side continue, Talekhu, Bhratang, Dhukur Pokhari, finally you arrive in Lower Pisang. 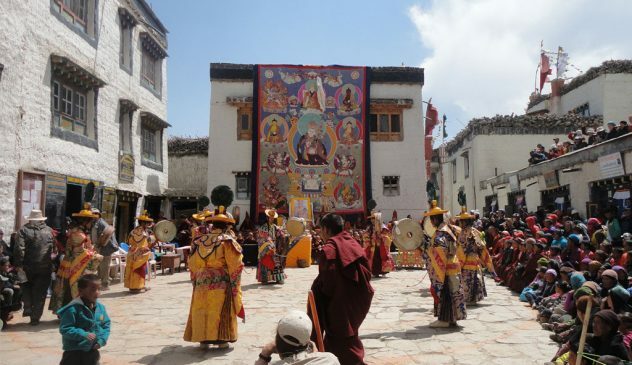 Rest for a while and guide will bring you in Upper Pisang visit monastery, an old village down to the hotel. Day 07: Trek to Manang (3540m.) it takes 5 hours walk. 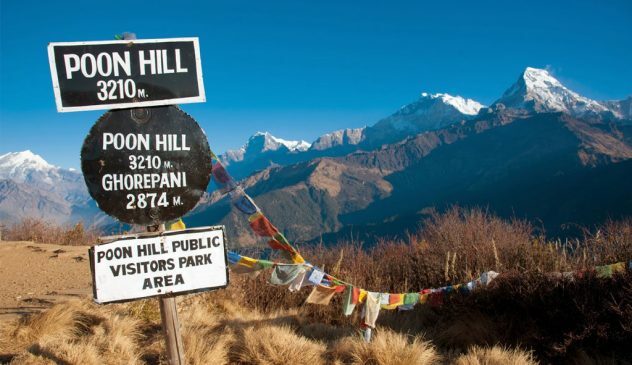 Trail via Humde (here is airport normally use in-season time March, April, May and September, October and November), Mugje, Bhraga and finally you arrive in Manang. 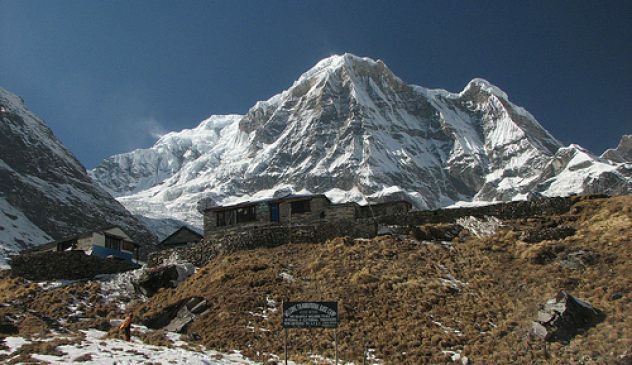 After 3 pm every day Himalayan Rescue Association (HRA) Manang post discuss high altitude. Day 08: Acclimatization in Manang & sightseeing in the local village. Just down another side of village cross bridge climb up to see Gangapurna glacier, mountain and Manang village from other side and back to the hotel. Day 09: Trek to Khangsar (3734m.) it takes 3 hrs to walk necessary one night here but not try direct all the way from Manang to Tilicho Base Camp hotel (this is name of the place) it is too long and big elevation for people from sea level and nowadays there is one hotel to stay and food only in season. Day 10: Trek to Tilicho Base Camp Hotel (4200m.) it takes 5 hours walk. Visit monastery on the way to Tilicho, walk up to Kharka there is seasonally tea house rest in there for tea or drink after this place you are very considerate to walk because few places trail is from landslide and some time rock are falling down until 20 minutes before Tiliho base camp hotel. Day 11: Trek to Mesokanto Kharka via Mesokanto pass 5200m. It takes 7-8 hours walk. After pass either you camp before pass as you wish. Tilicho Lake is highest Lake in the world is close to the trail but you have time to see enjoy in there with a beautiful place. Day 12: Trek to Kaisang (3510m.) it takes 6-7 hour walk. Trail via High Kharka, campsite finally you arrive in Kaisang. Two days (Mesokanto Kharka, Kaisang) sleep in tent eat food from our staff will cook and ay three you arrive in Jomsom where a hotel like in Manang side. Day 13: Trek to Jomsom (2741 m.) (district headquarter) via Thini village just before Jomsom. 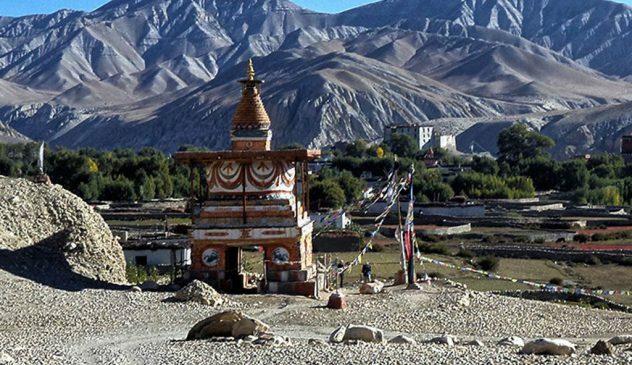 Jomsom is strong windy whole in Annapurna trekking region and you always have sunglass on especially in the afternoon. Day 14: Fly back to Pokhara in the morning 15 to 18 minute and look around Pokhara valley and board drive around Fewa Lake, climb up to world peace stupa another side Lake which it takes one hour to see almost Pokhara valley from top, down to the side of Lake cross Lake by board drive to the hotel. Day 15: By tourist bus 7-8, car/van 5 hrs drive & plane 25 minute to Kathmandu. This day you can have breakfast and lunch on the way to Pokhara by road there are nice tourist verities of the hotel, a restaurant as well. Guide, porter, salary, insurance, food and lodge accommodation during the trip. Trekking equipment for trekking guide & porter. Your breakfast, Lunch and dinner during the trip. Three times cup of tea/coffee with a meal. Airport peak up and droop, Local transportation in Nepal. Trekking permit / Conservation permit / National park permit. TIMS card service (Trekking information management system). Sleeping bag, down jacket during the trekking, Accommodation in Nepal. Personal expenses, bar bill like beer, wine, local wine, water & any kind of soft drink. Your personal insurance, a full meal in Kathmandu, airfare international flights. Nepal entry visa fee, any other expenses which are not mentioned on price includes section, staff tips.